Your campaigns are raking in clicks faster than you can count them, but you aren’t able to accurately track the actions your customers take after landing on your site. Don’t worry! 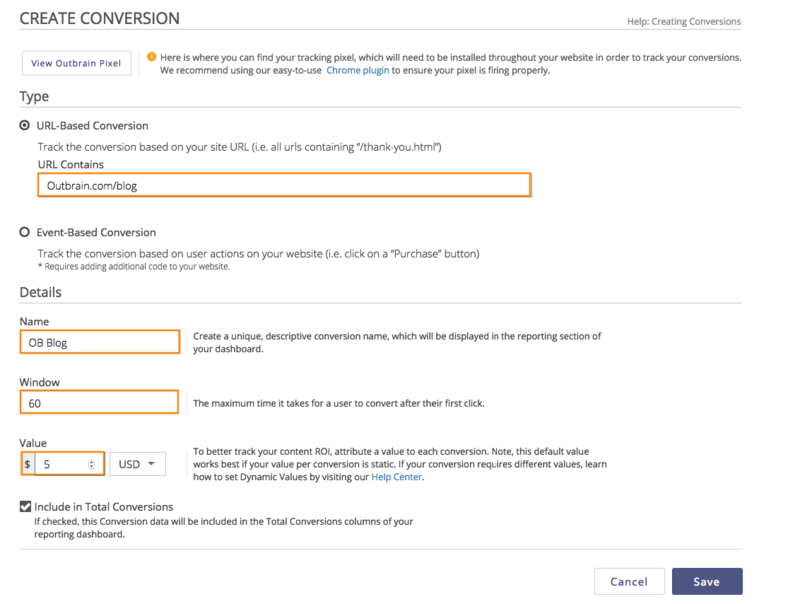 You can start tracking conversion actions immediately using Outbrain’s pixel. Watch our introductory video to learn more about URL-Based and Event-Based conversions. Before you begin tracking, you’ll need to make sure the pixel has been installed in the header of every page on your site. 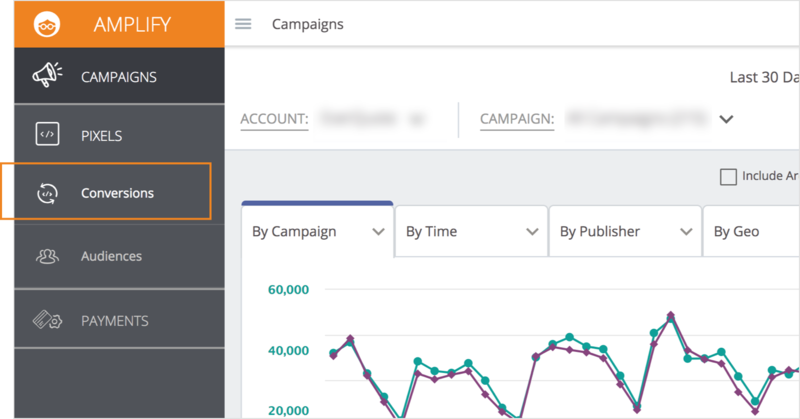 Once you start getting conversions, you can view them in your campaign reports . You can also track view through conversions. Also, make sure to use our Shopify and Google Tag Manager implementation guides if these apply to your site. First, hover over “Pixels” and click “Conversions” in the drop-down. Then, select “View Outbrain Pixel” and click the code to copy it to your Clipboard. Paste the pixel code in the header of each page of your site. You will define the conversion points in the dashboard later on, so there’s no need right now to pick and choose which pages should feature the pixel code. Once you have done this, test the pixel’s functionality using our Outbrain Pixel Tracker and ensure that the older pixel version has been removed. The Outbrain pixel can be used to track two types of conversions: URL-Based and Event-Based (which requires an extra bit of code). Let’s get started! URL-Based conversions allow you to track conversions depending on which page the reader lands on. Installing the pixel in the header of every page on your site will allow you to generate different URL-Based events and provide easier tracking. Begin by clicking “Add Conversion” to open up the “Create Conversion” screen. The Tracking Status will remain as “Waiting for Pixel” until the action has been tested or a conversion has occurred. You can check that the pixel fires properly by using our Pixel Tracker. To track views for specific pages, create a conversion with “URL Contains”: /product-page. Event-Based conversions require knowledge of HTML. Alterations made to and implementation of the Event-Based conversion pixel code cannot be troubleshooted by our Support team. Only use this conversion style if you or someone on your team has the know-how. Event-Based conversions will track a specific action that the reader takes on your site. This can include button clicks such as “Add to Cart” or “Subscribe.” Follow the same steps mentioned above, but note that this type of conversion requires an extra code (and possibly the assistance of your web developer). The snippet of code will be provided as soon as you click “Save” at the bottom of the “Create Conversion” page. Note that you will still need to install the Outbrain Pixel in addition to the event-based code provided. Install the code on your site between <script>, </script> tags after the action you wish to track. Here are a few examples of how the event code might be placed. If your conversion requires different values depending on the action taken, check out our helpful guide on how to create dynamic values. At any time, you can view the code snippet by clicking on the eyeball icon next to the conversion type. 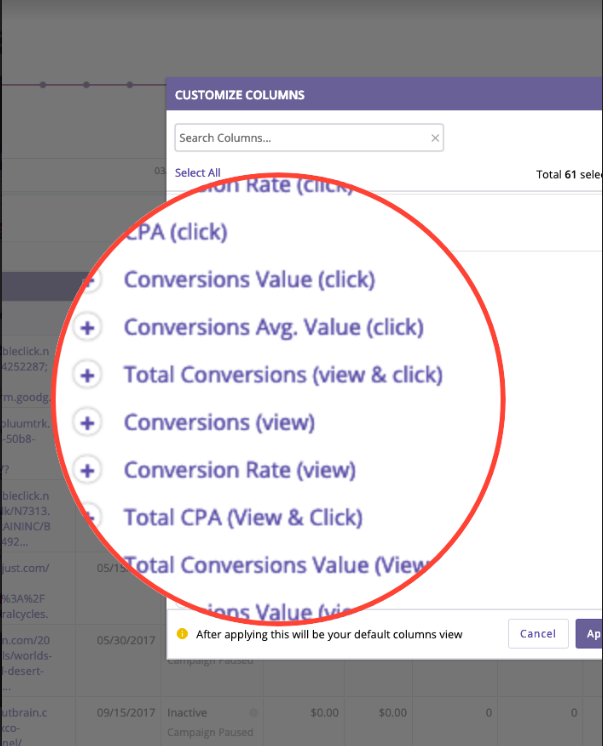 Once the first conversion has been tracked, the following columns will populate on your main dashboard: Conversion, Conversion Rate, and CPA. Each will follow the naming convention you created for the conversion. As data begins to roll in, you can measure your conversion results using a host of data breakouts, such as Publisher, Publisher Section, and Content to further optimize your campaign’s performance. Tracking a few conversions? You can customize your dashboard view to display only a few conversion columns at a time. To do this, click the “Customize Columns” button above the data visualizer. From there, you can select which columns to show in your default view. If you’d like to learn more about how to view and filter for conversions, check out this guide. Beyond just tracking conversions that are completed through clicks, you can also track View-through conversions in the Dashboard. View-through conversions are when a user views one of your ads, does not click on it, and later converts within the next 24 hours. View through conversions at Outbrain are based on viewable impressions – If a user views at least 50% of your ad for 1 second, it’s considered a viewable ad (per the MRC standards). View-through conversions are a great way to see the bigger picture of your campaign’s performance, because now you’ll be able to better see the impact of your ads on your conversion rate. As part of our transparency effort, you’ll find that View-Through and Click-Through conversions will be reported both as a total as well as separately on our platform. To help you better identify your conversion sources, you’ll find that the Conversion columns will be labeled with (Click) or (View). If the columns include both, they’ll be labeled with (View & Click). Conversions will be attributed to the day the click takes place, rather than when the conversion occurs. 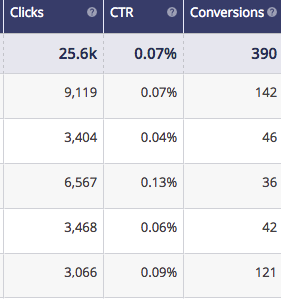 This attribution is in line with how Facebook, Google, and other platforms track conversions. Testing the pixel will not register a conversion in the dashboard. A conversion will only be recorded when a reader clicks on your content in the Outbrain widget, reads through your awesome content, and completes the desired action you have set. Check to make sure that your pixel is firing with our easy-to-use Outbrain Pixel Tracker or by checking the Tracking Status in your dashboard. If you’ve made a mistake, don’t worry! Click the pencil icon next to the conversion name to edit your conversion settings. If you choose to edit the pixel’s destination URL for URL-Based conversions or the Event Name for Event-Based conversions, the conversion status will change to Waiting for Pixel until the pixel has been tested or a conversion has occurred. We recommend keeping your campaigns running for at least 2 weeks to collect enough conversion data to optimize. Our Pixel will only track conversions with an Outbrain source. As with reporting, there will be a 2-4 hour delay in conversion tracking. You can choose to Include in Conversions if you wish to have the URL-/Event-Based conversion show up in the column displaying total conversions. Conversions are supported for both view time and conversion time, with the default being view/click time. View Through Conversions are not able to include views from MSN, SDK, or programmatic traffic. Whew! You’ve made it to the end of this article and may still need help setting all of this up. Don’t fret, our Support team is here to assist with any questions you may have.